Free food & java... all day! Do you enjoy free coffee? Gratis pastries? Aging hippie customers asking you to use your laptop in the back of the cafe because they need their "technology free" time? 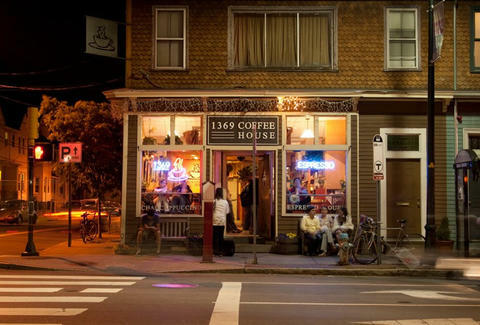 Well you're in luck, as C'bridge coffee icon 1369 is celebrating its 20th birthday this weekend and giving away everything from 8a to 5p on Saturday at both locations. Aging hippies may or may not be included.